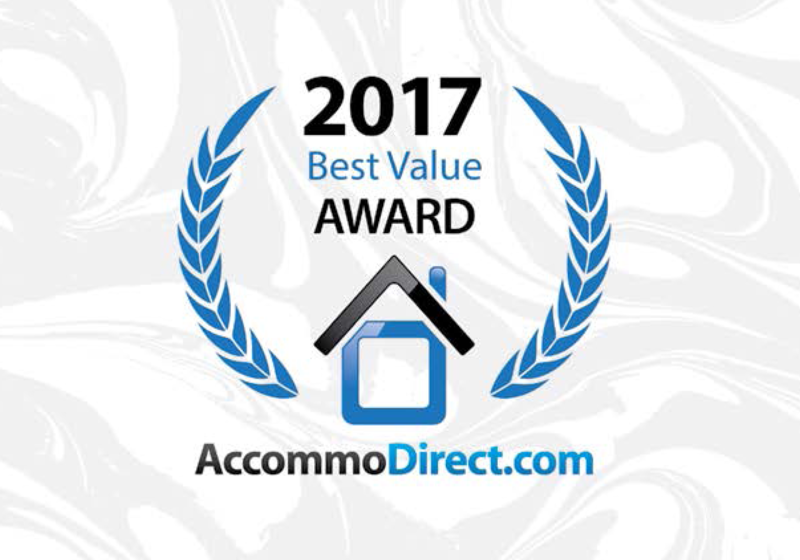 We are very proud to announce that Webersburg Estate has won a 2017 Top Valued Establishment Award for being rated one of the best value accommodation destinations in Stellenbosch! 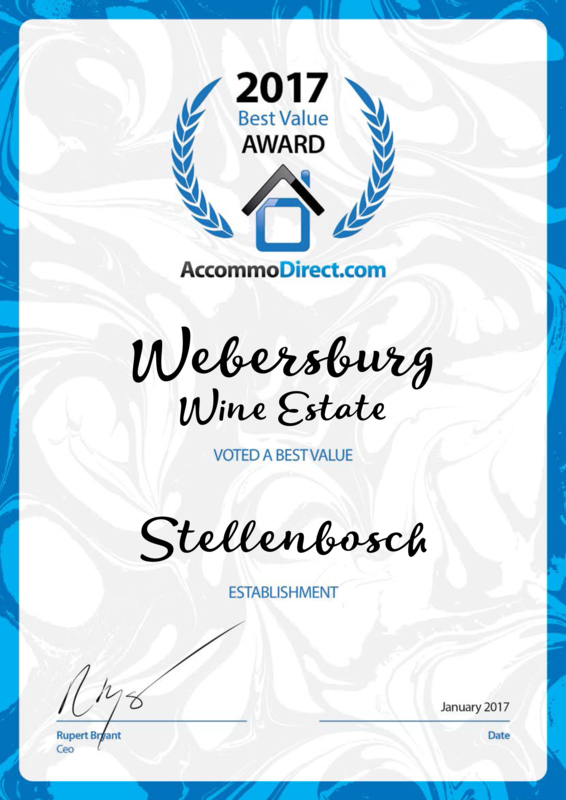 Accommodirect.com has honoured us with this prestigious award based on consistent and excellent rates offered by Webersburg Estate to guests. Thank you for the support!